Out of many fascinating phenomena of the nature, bamboo, plant of grass family Poaceae, is one of them. It is considered one of the fastest growing vegetation out there with some species of it can grow around 36 inches within the span of a day. Stalks of this plant are considered one of the best material options for fencing. Some of the reasons that you should consider bamboo fencing for your outdoor are as follows. Don’t get misled with their lightweight, bamboo are one of the best fencing choice out there with greater values of compressive strength. Due to this trait, bamboos are difficult to break as compared to traditional wood and kiln bricks. Moreover, there is no match of bamboo’s resistance to tensile forces. These strength features highlight that bamboo fences are strong enough to provide protection to the boundary of your house. There is no industrial or manufacturing process involved in the making of bamboo fences unless they are getting furnished after harvesting. Growth pattern of bamboos also makes them an environment friendly option to be used in fencing. Professional harvesting of bamboo shoot doesn’t kill the plant in the process. So, you don’t have to feel guilty that the bamboo fence you are using is made of many dead plants. It is not a compulsion to use bamboo in only its natural hue and texture. You can match their appearance with the overall color and theme of the exterior of your house. In general, bamboos fit perfectly with the greenery of your lawn or yard in their natural form. Even without applying a sealant, bamboos are resistant to the adverse effects of UV rays of sunlight, rain and snow. If you are replacing the fencing around your house in the scheduled renovation, then you can pick bamboo fences because of the ease of installation. Bamboo panels can easily be installed into the existing frame of fence. If your patio features conventional concrete walls and you want to renovate them, then use bamboo fence to cover the wall. This sudden transformation of the patio walls will certainly assures an attractive look of the outdoor space. Even if you are short on your budget, you have an option to provide best outdoor furnish in the form of rolled bamboo fencing. To add style, you can use attractive sceneries, paintings and screens on the rolled bamboo fence. A screen-fence made of dark brown bamboos can be used to add privacy to your outdoor space. Since they are not stained, therefore not all bamboo sticks of the fence will have a same color. This color difference looks natural, beautiful and goes well with the outdoors. 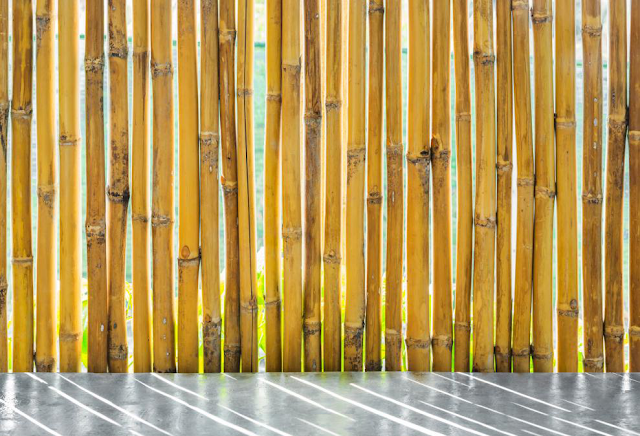 For their cost, aesthetics and utility, bamboo fences are a perfect fit to renovate your outdoor space.